Splendours of China! - Ladies Group! 15 Days | Splendours of China! - Ladies Group! This tour includes all the “must-see” highlights in Beijing, such as the Great Wall, Forbidden City, and Summer Palace. Then in the ancient capital Xian, the tour takes you to the 6,000 life-sized Terra-cotta Warriors. Continue to discover the breathtaking natural beauty of Li River in Guilin before you start your memorable journey in booming metropolitan Shanghai. A VALID PASSPORT IS REQUIRED AND MUST BE VALID 6 MONTHS AFTER DATE OF RETURN. CHINESE TOURIST VISA WILL BE REQUIRED AND SHELLEY WILL ASSIST. A non-refundable deposit of 500.00 is due by June 6, 2018. Deposits can be made over the phone by credit card or contact Shelley for an appointment. Credit card will not be charged until deposit deadline so book your spot as soon as possible. Final payment will be late June 2019. Air payment may be due before that time. Meet and transfer to Regent Hotel. Visit Tiananmen Square, Forbidden City and Summer Palace. Evening enjoy Kung Fu Show with Peking Duck Dinner. Visit Mutianyu Great Wall and photo stop at Bird Nest & Water Cube. Visit Temple of Heaven (watch local people do all kinds of morning exercises including traditional chines Tai Chi), Pearl factory and also enjoy a Hutong Tour by rickshaw ride with a local home visit. Fly to Xian via domestic flight. Visit the Provincial Museum and Big Wild Goose Pagoda. Overnight in Xian at Grand Mercure Xian on Renmin Square. Full day excursion: Visit the Terracotta Warriors Museum, and the ceramics and pottery workshop en-route. Enjoy a Dumpling Dinner and Tang Dynasty Show in the evening. Overnight Guilin at Shangri-La Hotel Guilin. Transfer from Guilin to PINGAN village explore the rice Terrace, Vistas and rural lifestyles of Longsheng, lunch then return to Guilin overnight in Shangri-la Hotel Guilin. Cruise Lijiang River then get off in Yangshuo. Evening dinner at local restaurant and then watch the Sister Liu SanJie Show. Overnight at Green Lotus Hotel in Yangshuo. In the morning take a coach tour in Yangshuo town. After lunch transfer back to Guilin by bus. Fly to Shanghai. Meet and transfer to hotel. Evening enjoy the famous Shanghai Acrobatic Show! Overnight in Shanghai at Sofitel Hotel Shanghai. Visit the Yu Garden, Shanghai Museum, The Bund, Xintiandi and Pudong New Zone. Free to explore at leisure. Optional on extra cost - Bus excursion with lunch to the historic water town - Suzhou. 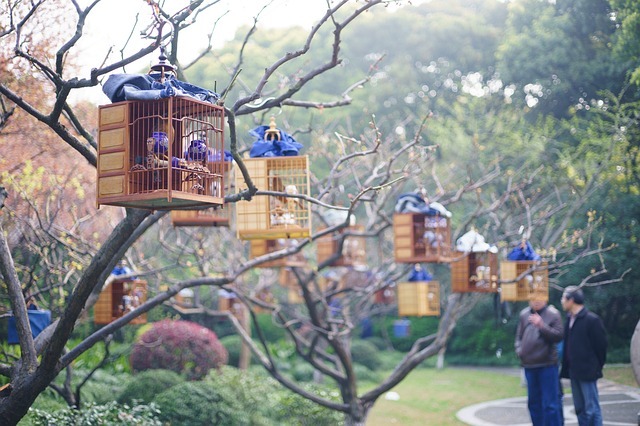 Visit the Garden master of Nets, Silk spinning factory and Pingjiang Road old Town Area.